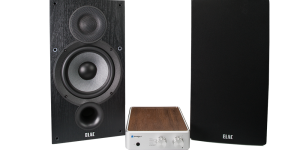 Built in BoulderFinally, a full sized affordable system that honors the music and controls your loudspeakers better than you ever imagined possible. From the deepest bass to the warmest, sweetest highs, the Stellar stack makes any loudspeaker sing. Built in BoulderAn unrivaled combination for the price, the Stellar monoblock stack features the powerful full sized, powerful monoblock M700 amps paired with the Gain Cell preamplifier. From the deepest bass to the warmest, sweetest highs, the Stellar monoblock stack takes control and makes any loudspeaker sing. 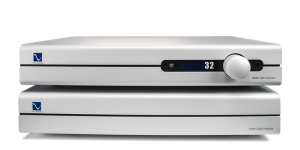 Built in BoulderCompared to any other stereo preamplifier and amplifier combination in the world, the BHK Preamp and Stereo 250 amp stand proudly as one of the very best ever made. 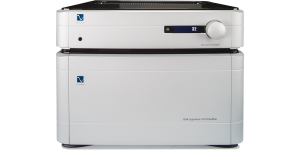 If performance, reliability and the chance to recreate the sound of live music in your home are what you're after, the BHK Signature stereo package might be for you. 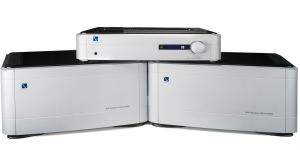 Built in BoulderWhen you are unwilling to compromise performance even a little, we offer the BHK Preamplifier and BHK 300 Monoblock power amplifier system. The combination is one of only a rare handful capable of uncovering music's rich tapestry in a lush, uncompromised, effortless presentation. 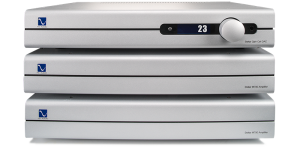 If you haven't any barriers to perfection, the BHK Pre and 300s are perfect for any size system in the world. The perfect music system for any home. Sprout, PS Audio's killer integrated teamed up with a pair of Germany's ELAC loudspeakers and Emotiva cables. Everything you need. Bring this hand selected affordable package into your home today. Sets up in just minutes.